I was given the opportunity to do another shoot with a JumpFromPaper bag, and I decided to use it as a chance to explore the Seattle Geek’s wardrobe. While a standard day has us in jeans and t-shirts, there are days where you’re meeting with a client or giving a presentation, and you’ve got to “suit up” a bit. So I tried out the standard work outfit: Nice jeans, a geeky shirt, a blazer, and nice shoes. 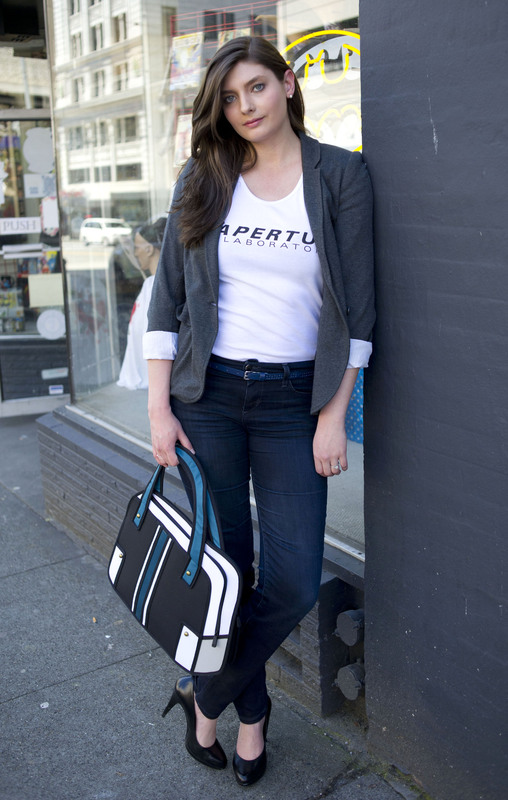 The JumpFromPaper briefcase was a nice addition to the outfit, and has been suiting me well even after the shoot. 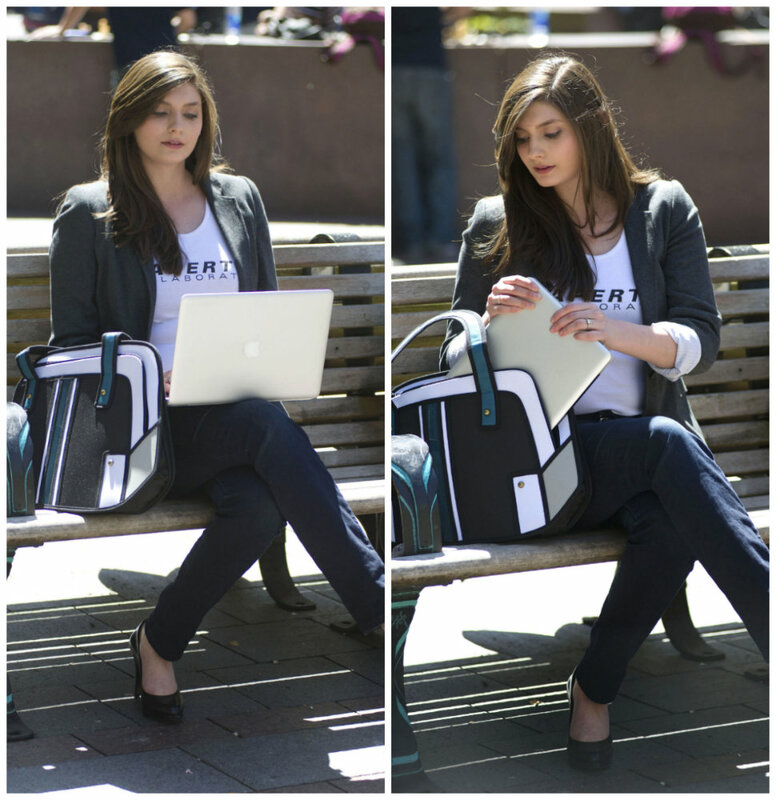 It’s my go-to laptop bag (yes, it fits my 13″ MacBook Pro!) and gets just as many stops on the street and compliments as my JumpFromPaper purse. You can find the briefcase at JumpFromPaper.com, as well as a lot of other cool bags. What’s your go-to work uniform? And would you carry around a JumpFromPaper bag? Job Hunters Merch is Here! I love those bags! They are so neat!